«The show celebrates 70 years of creative development since the launch of the first car in 1947. 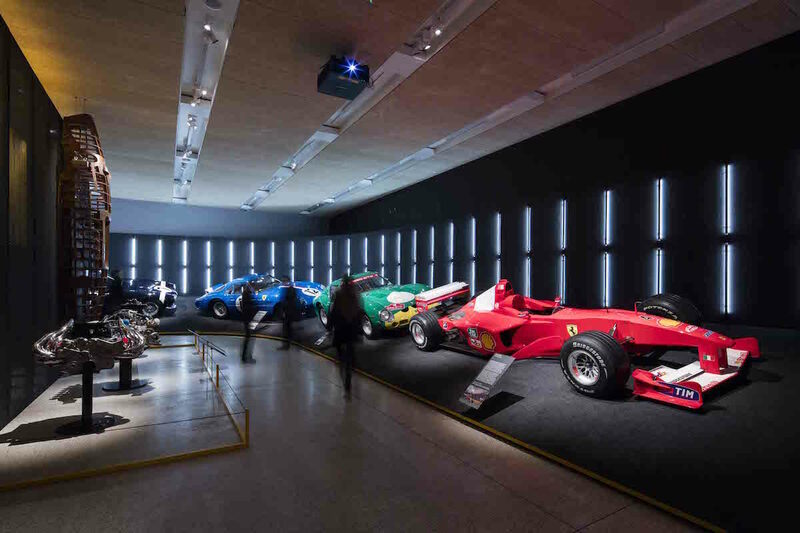 Displaying rarely seen material from private collections, the exhibition provides a unique insight into the meticulous and glamorous world of Ferrari. This ambitious collection brings together early design models, drawings, personal letters and memorabilia as well as some of the most famous cars to grace the world’s roads and racing circuits. Together, these artefacts and original documents provide an unprecedented study of automotive design».